By Chris Scott Barr on 07/02/10 • Leave a comment! 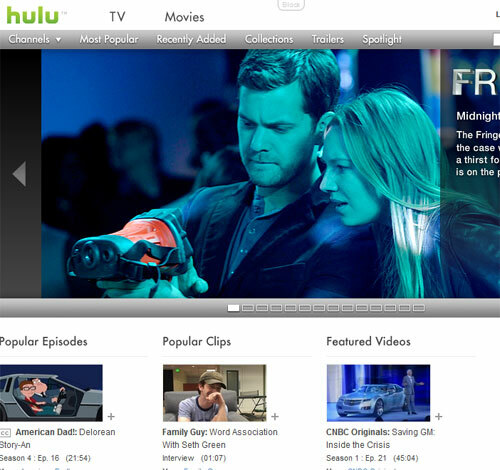 Since its inception, there have been rumors about Hulu moving to a subscription-based service. Back in April we told you about the proposed “Hulu Plus” service, which at the time was going to get you ad-free shows, the entire current season of various shows (instead of just the latest 5) as well as the entire back catalog from their shows. All of this would be yours for around $10 a month. Now the service has gone live, with some small changes. The biggest, and most annoying change is that despite giving them your cold-hard cash every month, you’ll still be seeing ads on everything you watch. On the other side of the coin, you’ll be able to access Hulu on your iPhone, iPad and a number of other supported devices. You’ll also get the entire back catalog of current shows, instead of just the 5 latest episodes from the current season, and a smattering of episodes from earlier seasons. If you’re content with the way they’ve been providing TV shows and have no need to watch them on your mobile device, then you’ll still be able to stick with the free Hulu that you know and love. It’s been nearly a year since I dropped my cable subscription, and I couldn’t be happier. Between Hulu Plus vs Netflix streaming, I have little desire to ever switch back. Of course there has always been that fear that Hulu would switch over to a paid subscription model. Now it seems that a paid model is coming, but it’s not nearly as bad as it could have been. The current proposal is to continue offering the latest 5 episodes of current shows for free. However, users could pay $9.95 a month for what’s called Hulu Plus. This would get you the entire back-catalog of episodes, rather than being limited to the latest ones. There is no word on whether paying the fee would free you from watching the ads or not.